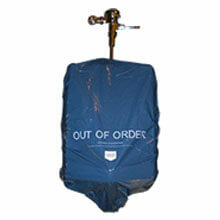 Disposable Urinal Covers create a more professional and clean restroom appearance. Quickly takes urinal out of service. Saves employee time and payroll. More sanitary than traditional alternatives.